Master Balls are the best type of Poke Ball one can own, automatically capturing any Pokemon when thrown and landed in a Wild Pokemon Encounter. During the Main Storyline, you will only obtain one Master Ball after defeating Team Rocket in the Silph Co Building found in Saffron City. 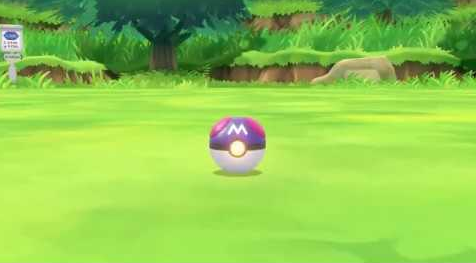 Outside of getting lucky and randomly finding more Master Balls later on in the sparkling spots within Cerulean Cave, this is the only Master Ball a trainer might ever obtain. And because of this, you must make this one and only Master Ball count. If you're wondering which Pokemon you should your Master Ball on, there are actually a few truly viable options. The first is a Shiny Pokemon that you don't want to lose the chance at capturing, but only if it is at a higher level and when Ultra Balls won't do (which is pretty rare). Obviously, you can't go wrong with using the Master Ball on any of the Legendary Pokemon found in the game. However, since Articuno, Zapdos and Moltres are easily obtainable by using Ultra Balls, this isn't highly recommend. Mewtwo, on the other hand, is a Pokemon all trainers should consider using their Master Ball on. Mewtwo is the strongest Wild Pokemon found in the entire game, and because it will be incredible difficult to capture due to being able to summon barriers that blocks all Berries and Poke Balls at random times, the Master Ball makes it a much easier capture.